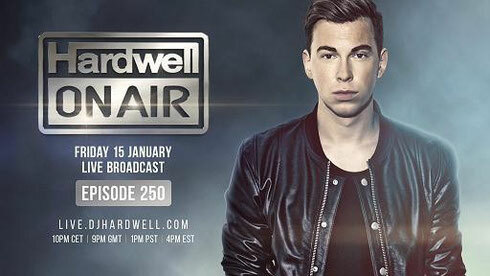 Hardwell will celebrate the 250th edition of his long running Hardwell On Air radio show tomorrow night. During this special broadcast, alongside an exclusive selection of guests, he will perform a live two hour show that will broadcast on YouTube, as well as live on 40 FM/XM radio stations worldwide, and on his dedicated site. Debuting back in March 2011, ‘Hardwell On Air’ has apparently gone onto become one of the most popular radio shows in the electronic sphere, whilst giving exposure to emerging and established artists as wide reaching as Julian Calor, Manse, Dannic and Thomas Newson. Now, after four years and 250 shows, he would like to thank his listeners around the globe and invite them to join him ‘live’ for this landmark occasion. This broadcast will feature both an ensemble cast of special guests, and a wealth of new tracks and IDs - kicking off the year off with a bang! Tune-in live from 22:00pm CET on the dedicated site: live.djhardwell.com, or alternatively on YouTube or the the syndicated stations.